For years, makers of cheap horror flicks and unimaginative mysteries have relied on the gimmick of framing all the chills and thrills as variations on popular games. For instance, Ouija (2014), Clue (1985), and endless rounds of tag-you're-it (this last category is probably the basis for every horror movie that has ever been). But a few games have been overlooked, possibly because they were too ridiculous to support even the flimsiest premise. But now comes Truth or Dare. A group of college students, hormones raging, goes to Mexico for spring break, there to fall under the influence of an ancient curse one night in an abandoned church on the beach (a church? On the beach?). 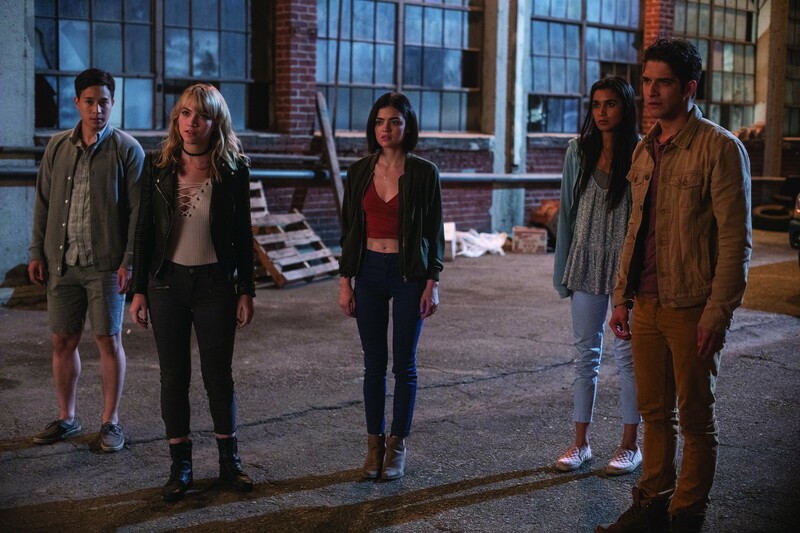 For reasons known only to director Jeff Wadlow, the movie's four writers (including Wadlow himself), Blumhouse Productions, Universal Pictures, and God, the curse takes the form of a deadly version of the old elementary school game Truth or Dare, with instant death for rule-breakers. The partiers immediately start dropping like empty beer cans. In teenage/twentysomething elimination derbies like this, there are always one or two characters too morally valuable to kill off. The leading goody-goody candidate is Olivia (Lucy Hale), a conscientious activist more interested in building affordable housing than in getting laid and downing tequila poppers. The only reason Olivia goes to Mexico in the first place is to keep her self-absorbed best friend Markie (Violett Beane) company while Markie plays around behind her boyfriend's back. Aside from Olivia, another potential keeper is Brad (Hayden Szeto), a gay nice guy trying to summon up the courage to come out to his police officer father (Tom Choi).